Does Your Blog Post Run Together? Life & Events > Does Your Blog Post Run Together? "Do your ears hang low? Do your ears hang low?" I've found that sometimes when I have a lot of text in a blog post here on Greasy, it all runs together as if the paragraph breaks are not there. To fix it, after I post this, I will go to User Center and "Edit" my post. All I have to do is open and close it, and the breaks will be fine. Meanwhile, our weather here in Las Vegas is warming up to spring-like. I heard a mockingbird singing the other day - a little bit early for them. We don't have them in Colorado, so they fascinate me with the various bird species represented including jays, which is how I know it's a mockingbird. In Colorado we have our own form of a mockingbird - the ouzel, commonly known as the dipper. Dippers are gray all over, about the size of a robin, but longer legs, and they bob up and down on them = dipper. The adults search for food on the river bottom: they dive into the water and walk along the bottom. We can stand on our bridge and watch them doing it. 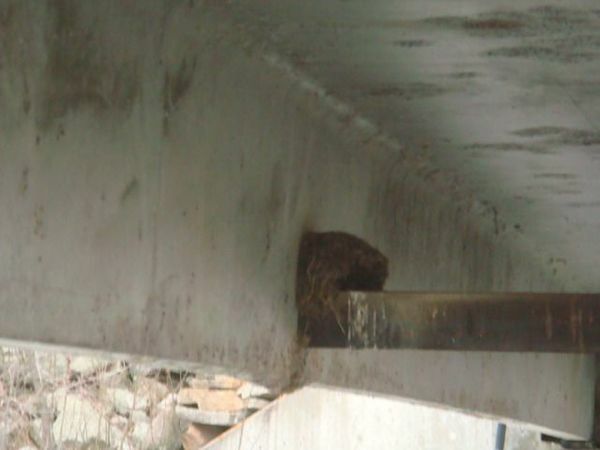 They build nests under our bridge, and when the hatchlings are in the nest, we can see the parents fly under the bridge with a bug in their mouth and the young ones start squawking. There's two hatches a year. Yes - this ran together and I opened it in edit and then it was fine. Thanks for the tip. I always meticulously added the spaces, not knowing that only opening and closing it would fix the problem. Those are the kind of glitches that drive blog administrators nuts - don't know what causes it, it serves no purpose, and without a cause, hard to figure out how to fix it. Good thing there's an easy work around to it. to all there at your house. Haven't heard a bird in awhile even tho we have year-round residents. I wonder where they went to beat the cold? Strange. That IS interesting. It can get 30 below at my house in Colorado sometimes, but I've never paid attention to how it affects the birds. Next time I will. I hate the running together so I will try the edit. Mercy, but I am tired today. I get so little sleep I feel like I'm running on adrenaline. I remember that ears song from grade school. What is spring and what is warming up? I feel like a bear that is supposed to be hibernating but can't quite get in the zone. All my posts run together too, until I edit them. I guess just visiting the html page would work. You guys are really getting whacked with weather. I feel like we should be getting more of it in Colorado. Yes it does but that's on MYBLOGGERS--I don't know what it does on GREASY!! Sometimes, if I'm not lazy I'll do the edit but like my last one I just let it be. Many years ago we had a new blogger and she had big long posts without a line break, and I made a comment about how she'd be easier to read with some white space. Now I wonder if somehow she was the pioneer of the run-on post. It wasn't happening to any of the rest of us at that time.